by making their children work. . .
What the world needs now are more "Mean Parents." 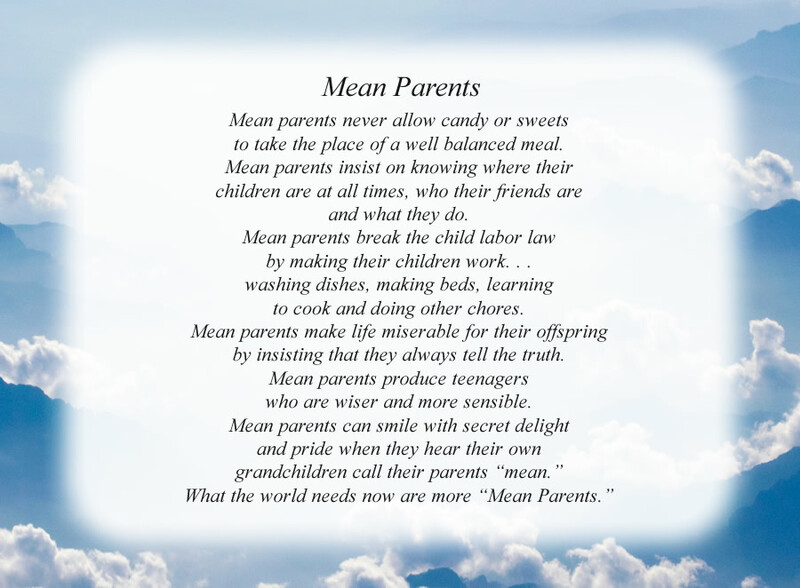 The poem, Mean Parents, is free and printable by opening or downloading using one of the three links below.